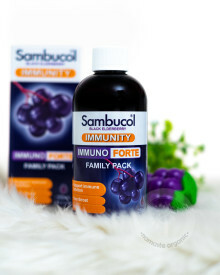 Sambucol Immuno Forte Syrup is a great tasting black elderberry liquid with added active ingredients that may help support immune system during times when you and your family are exposed to cold and flu. Sambucol Immuno Forte helps support healthy immune function in the family during the cold & flu season, or when their immunity is weakened. 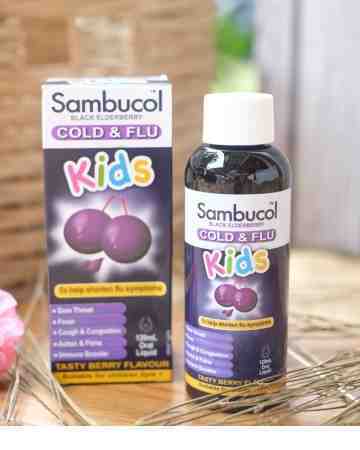 Adults: 15ml (1 tablespoon) 1-2 times daily. 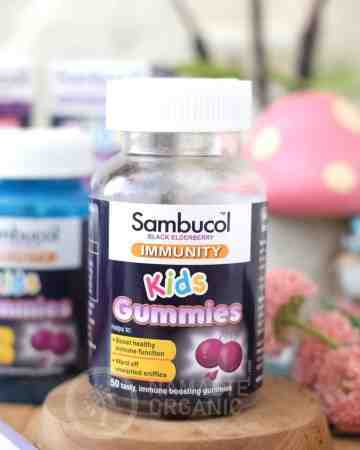 Children 2-4 years: 7.5ml (half a tablespoon) once a day. 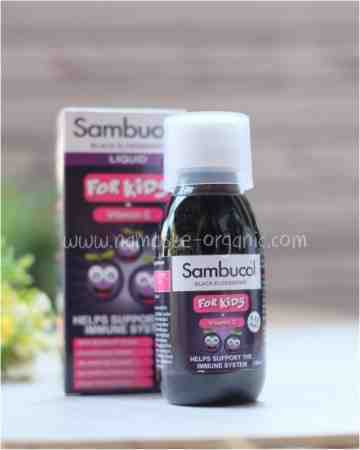 Sambucus nigra (Black elder) dry fruit juice equivalent to fresh fruit juice 5.7g, Zinc (as oxide) 1.305mg, Ascorbic acid (Vitamin C) 55mg.